ASCE’s Honors and Awards program recognizes the commendable achievements and remarkable accomplishments of the civil engineering profession. 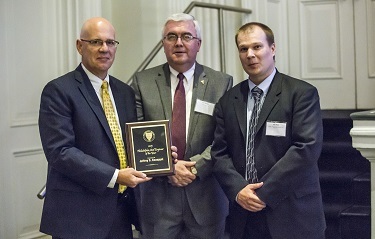 With more than 80 awards, the program distinguishes the unique contributions engineers make to both the industry and society. If you'd like to nominate a volunteer for our new Volunteer Spotlight initiative, just Click Here! Our section is lucky enough to have numerous respected engineering universities within our boundaries, and these university branches are very active ASCE groups. Each of our partnering universities is involved in the concrete canoe competition and attends the Eastern Regional Younger Member Council (ERYMC) conference. These students are our next ASCE leaders and we're proud of the accomplishments that they bring to our organization. The Section awards a scholarship to a matriculating student in a full-time Civil Engineering or Architectural Engineering program at one of the Philadelphia Section's five Student Chapters: Drexel University, Swarthmore College, Temple University, Villanova University, or Widener University. Students must be active participants in their ASCE Student Chapter to be able to submit. See the Philadelphia Award Guide for more information. 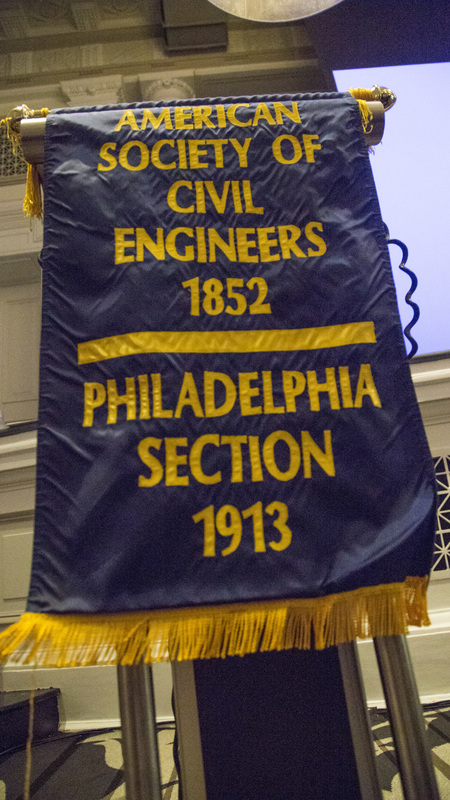 All children of active Philadelphia Section members matriculated in any full-time Civil Engineering or Architectural Engineering pgrogram at an accredited college or university are eligible. See the Philadelphia Award Guide for more information. The Scholarship application requirements and submittal deadline are otherwise the same as for the Student Scholarship, February 1, 2019. The applicant's cover letter should include parent's name and ASCE ID number. As part of the Delaware Valley Engineers Week celebration, the Philadelphia Section offers an undergraduate scholarship. Check out the DVEW Scholarship Website and Scholarship Application and Guide for more information. It’s that time again. Our Section’s Awards Program for 2019 is now open for nominations. Our Awards recognize Section members and others for their contributions to the Civil Engineering profession. All awards will be presented at the Spring Social/Dinner Dance in May (Location and Date TBD. We encourage you to submit nominations for those deserving individuals who should be recognized for their various contributions, achievements, and career milestones, appropriately. Nominations must be received by Friday, January 25. Nominations should be submitted on forms which are available from the Committee Chair. Individuals may be nominated for awards by a member in any grade of membership. Individuals may receive only one award in a single year, but may be nominated for more than one award in a single year. Award recipients are subject to the approval of the Section’s Board of Directors. All awards are presented only during years in which, in the judgement of the Selection Committee or the Board, there is at least one suitable candidate. The Selection Committee, at its discretion, may nominate an alternate for each award for Board consideration. The Selection Committee will recommend to the Board whether the recipient should also be nominated for applicable National or Regional awards by the Section. 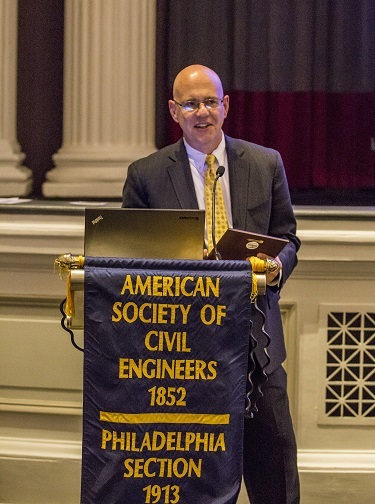 If you are interested in submitting a nomination for consideration, please contact Bob Wright, Committee Chair, at 215-433-1666, or via e-mail at newseditor@asce-philly.org, to obtain a nomination form. You may also call Bob, if you have any questions or need any additional information on the Section’s Awards Program. Region 2 is excited to launch a new series of awards that recognize and celebrate outstanding service of ASCE members within our Region! Nominations are due November 30th. Please consider honoring one of your deserving colleagues by sending in a nomination. Thank you so much! If you have questions, please contact Carol Martsolf, Region 2 Governor, at ccmartsolf@urbanengineers.com or 215-922-8081, ext 1218. Please Click Here to visit the Region 2 Awards page and view the applications. 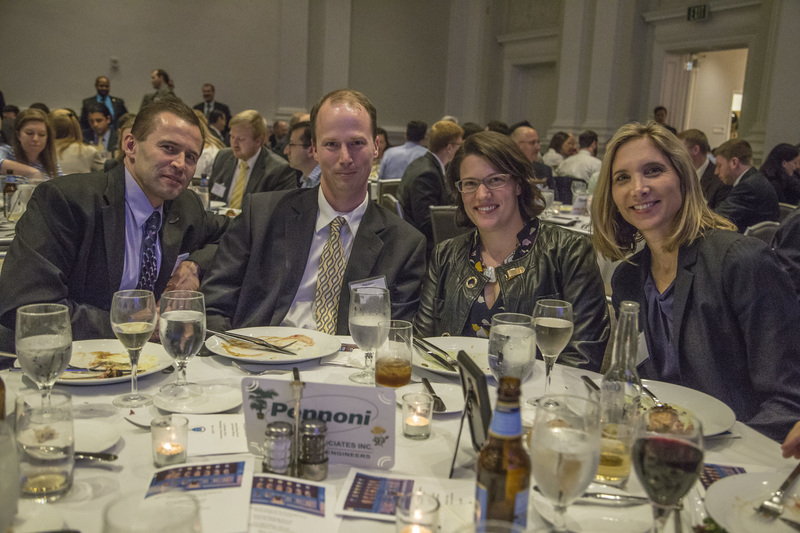 Photos of the 2017 award winners and ASCE Spring Social can be found here. Congratulations to Ehsan and the YMF! 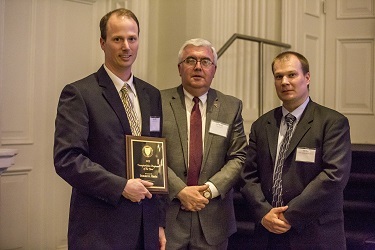 After reviewing the nominations from around the region, the Delaware Valley Young Engineer of the Year Awards committee has selected Brian Mark Crookston, PhD, PE, a Project Engineer / Hydraulics Specialist for Schnabel Engineering of West Chester, Pennsylvania to be the 2015 Young Engineer of the Year. Kazi M. Hassan, P.E. won the 2015 Outstanding Young Civil Engineer of the Year in the Private Sector. He received the award at the ASCE Eastern Regional Younger Member Conference in Miami, FL. Chris Renfro, EIT won the 2015 Outstanding Young Civil Engineer of the Year in the Public Sector. He received the award at the ASCE Eastern Regional Younger Member Conference in Miami, FL along with Mr. Hassan.